Find Auburn, GA Homes for sale. View Photos, Maps and MLS Data Now! 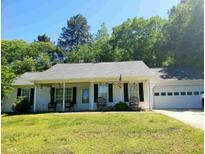 Saddlebrook Farm - Convenient Location In Mulberry Elementary/Dacula Hs District. MLS#8561663. Keller Williams Rlty Atl. Part. Bradford Park - Perfect For Empty Nesters Or First Time Homebuyers. Sold "As-Is" With No Disclosures. MLS#8554771. Kdd Properties Of Ga, Llc. Brookside Crossing - Open-Concept Plan W/ Modern Interior Finishes: 10X16 Covered Back Porch W/ Gas Grill Connection, Wood Stained Front Door, 42" Antique White Kitchen Cabinets W/ Shaker Doors, Stainless Appliances W/ Gas Cooking, Granite Kitchen & Bathroom Counters, Gray Laminate Flooring, White Stained Brick Fireplace Hearth, Cedar Mantel, Tile Bath Floors, Tile Master Shower, Coffered Ceilings, 2-Piece Crown. MLS#8553858. Peggy Slappey Properties. Builder Will Pay Up To $4,000 In Closing Costs W/Preferred Lender. MLS#8552436. Progressive Realty Llc. Vinemont Ridge - However, There Is No Remaining Warranty On Labor. MLS#8549489. The Home & Realty Company, Inc.
Brookside Crossing - Open-Concept Plan With Modern Finishes:Covered Back Porch W/ Gas Grill Connection, Wood Stained Front Door, 42" White Kitchen Cabinets W/ Shaker Doors & Subway Tile, 8Ft Kitchen Island, Stainless Appliances W/ Gas Cooking, Granite Kitchen & Bath Counters, Gray Laminate Floors On Main Level, White Stained Brick Fireplace Hearth, Cedar Mantel, Tile Bath Floors, Tile Master Shower, Coffered Ceilings, 2-Piece Crown, Recessed & Pendant Lighting, Craftsman Interior Doors. MLS#8548746. Peggy Slappey Properties. Brookside Crossing - Open-Concept, Modern Interior Finishes: 10X16 Covered Back Porch W/ Gas Grill Connection, Brick-Base Columns On Front Porch, Wood Front Door, 42" White Kitchen Cabinets W/ Shaker Doors, Subway Tile Backsplash, Stainless Appliances W/ Gas Cooking, Granite Kitchen & Bathroom Counters, Gray Laminate Floors On Main Level Including Great Room, White Stained Brick Fireplace Hearth, Cedar Mantel, Tile Bath Floors, Tile Master Shower, Built-In Cabinets, Coffered Ceilings. MLS#8548778. Peggy Slappey Properties. Brookside Crossing - Open-Concept, Modern Interior Finishes: 10X16 Covered Back Porch W/ Gas Grill Connection, Brick-Base Columns On Front Porch, Wood Front Door, 42" White Kitchen Cabinets W/ Shaker Doors, Subway Tile Backsplash, Stainless Appliances W/ Gas Cooking, Granite Kitchen & Bathroom Counters, Gray Laminate Floors On Main Level Including Great Room, White Stained Brick Fireplace Hearth, Cedar Mantel, Tile Bath Floors, Tile Master Shower, Built-In Cabinets, Coffered Ceilings. MLS#8548759. Peggy Slappey Properties. Great Schools And Convenient To Shopping. 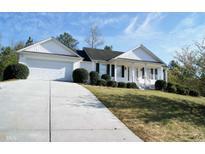 MLS#8548803. Community Partners Realty. Brookside Crossing - Open-Concept Plan W/ Modern Finishes:Covered Back Porch W/ Gas Grill Connection, Wood Stained Front Door, 42" White Shaker Kitchen Cabinets & Subway Tile, 8Ft Kitchen Island, Stainless Appliances W/ Gas Cooking, Granite Kitchen & Bath Counters, Gray Laminate Floors On Main, White Stained Brick Fireplace Hearth, Cedar Mantel, Tile Bath Floors, Tile Master Shower, Coffered Ceilings, 2-Piece Crown, Recessed & Pendant Lighting. MLS#8544986. Peggy Slappey Properties. Brookside Crossing - Open-Concept, Modern Interior Finishes: 10X16 Covered Back Porch W/ Gas Grill Connection, Brick-Base Columns On Front Porch, Wood Front Door, 42" White Kitchen Cabinets W/ Shaker Doors, Subway Tile Backsplash, Stainless Appliances W/ Gas Cooking, Granite Kitchen & Bathroom Counters, Gray Laminate Floors On Main Level Including Great Room, White Stained Brick Fireplace Hearth, Cedar Mantel, Tile Bath Floors, Tile Master Shower, Built-In Cabinets, Coffered Ceilings. 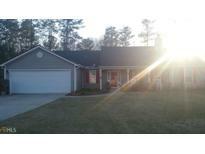 MLS#8544988. Peggy Slappey Properties. One Other New Homes Available Nearing Completion! Call For Details! MLS#8544656. Reynolds Realty Llc. Wynfield - Just Off Dining Area Is The Sunroom That Opens Out Onto The Back Deck And Fenced In Yard. Convenient To Schools And Shopping. MLS#8544687. Bonco Realty. Picture For Representation Only. Not Of Actual Home. 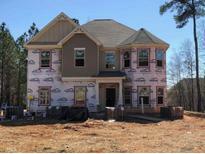 MLS#8538798. Progressive Realty Llc. Brookside Crossing - Open-Concept Plan With Modern Finishes:Covered Back Porch W/ Gas Grill Connection, Wood Stained Front Door, 42" White Kitchen Cabinets W/ Shaker Doors & Subway Tile, 8Ft Kitchen Island, Stainless Appliances W/ Gas Cooking, Granite Kitchen & Bath Counters, Gray Laminate Floors On Main Level, White Stained Brick Fireplace Hearth, Cedar Mantel, Tile Bath Floors, Tile Master Shower, Coffered Ceilings, 2-Piece Crown, Recessed & Pendant Lighting, Craftsman Interior Doors. MLS#8536093. Peggy Slappey Properties. Brookside Crossing - Open-Concept, Modern Interior Finishes: 10X16 Covered Back Porch W/ Gas Grill Connection, Brick-Base Columns On Front Porch, Wood Front Door, 42" White Kitchen Cabinets W/ Shaker Doors, Subway Tile Backsplash, Stainless Appliances W/ Gas Cooking, Granite Kitchen & Bathroom Counters, Gray Laminate Floors On Main Level Including Great Room, White Stained Brick Fireplace Hearth, Cedar Mantel, Tile Bath Floors, Tile Master Shower, Built-In Cabinets, Coffered Ceilings. MLS#8536096. Peggy Slappey Properties. Brookside Crossing - Open-Concept, Modern Interior Finishes: 10X16 Covered Back Porch W/ Gas Grill Connection, Brick-Base Columns On Front Porch, Wood Front Door, 42" White Kitchen Cabinets W/ Shaker Doors, Subway Tile Backsplash, Stainless Appliances W/ Gas Cooking, Granite Kitchen & Bathroom Counters, Gray Laminate Floors On Main Level Including Great Room, White Stained Brick Fireplace Hearth, Cedar Mantel, Tile Bath Floors, Tile Master Shower, Built-In Cabinets, Coffered Ceilings. MLS#8536094. Peggy Slappey Properties. Brookside Crossing - Open-Concept Plan W/ Modern Interior Finishes: 10X16 Covered Back Porch W/ Gas Grill Connection, Wood Stained Front Door, 42" Antique White Kitchen Cabinets W/ Shaker Doors, Stainless Appliances W/ Gas Cooking, Granite Kitchen & Bathroom Counters, Gray Laminate Flooring, White Stained Brick Fireplace Hearth, Cedar Mantel, Tile Bath Floors, Tile Master Shower, Coffered Ceilings, 2-Piece Crown. MLS#8531814. Peggy Slappey Properties. Come See What This Beautiful Home Has To Offer! MLS#8531116. Reynolds Realty Llc. Pictures Are Not Of Actual House. Current Home Is Under Construction. MLS#8531045. Reynolds Realty Llc. Yorkshire Estates - Closing Cost Paid With Acceptable Offer MLS#8528661. Trientity Real Estate Llc. Brookside Crossing - Open-Concept Plan With Modern Finishes:Covered Back Porch W/ Gas Grill Connection, Wood Stained Front Door, 42" White Kitchen Cabinets W/ Shaker Doors & Subway Tile, 8Ft Kitchen Island, Stainless Appliances W/ Gas Cooking, Granite Kitchen & Bath Counters, Gray Laminate Floors On Main Level, White Stained Brick Fireplace Hearth, Cedar Mantel, Tile Bath Floors, Tile Master Shower, Coffered Ceilings, 2-Piece Crown, Recessed & Pendant Lighting, Craftsman Interior Doors. MLS#8528121. Peggy Slappey Properties. Brookside Crossing - Open-Concept, Modern Interior Finishes: 10X16 Covered Back Porch W/ Gas Grill Connection, Brick-Base Columns On Front Porch, Wood Front Door, 42" White Kitchen Cabinets W/ Shaker Doors, Subway Tile Backsplash, Stainless Appliances W/ Gas Cooking, Granite Kitchen & Bathroom Counters, Gray Laminate Floors On Main Level Including Great Room, White Stained Brick Fireplace Hearth, Cedar Mantel, Tile Bath Floors, Tile Master Shower, Built-In Cabinets, Coffered Ceilings. MLS#8528118. Peggy Slappey Properties. **Stock Photos, Same Plan. Features May Vary. ** MLS#8527313. Reynolds Realty Llc. Brookside Crossing - Open-Concept Plan W/ Modern Interior Finishes: 10X16 Covered Back Porch W/ Gas Grill Connection, Brick-Base Columns On Front Porch, Wood Stained Front Door, 42" Antique White Kitchen Cabinets W/ Shaker Doors, Subway Tile Backsplash, Stainless Appliances W/ Gas Cooking And Refrigerator, Granite Kitchen & Bathroom Counters, Hardwood Floors On Main Level Including Great Room, Site Finished Hardwood Staircase, Tile Bath Floors, Tile Master Shower, Built-In Cabinets, Coffered Ceilings & More. MLS#8524052. Peggy Slappey Properties.